Investing in mutual funds can be beneficial, especially for individuals who want to invest but are not able to due to lack of time or enough knowledge of the market. If you are looking for an investment to build your assets, live a more comfortable lifestyle and accumulate wealth to secure your future financially, mutual funds can be a very good option. Investing in mutual funds can be beneficial, especially for individuals who want to invest but are not able to due to lack of time or enough knowledge of the market. Before getting into the details of how you could invest in mutual funds, let’s understand the basics of mutual funds, how it works, and how it is beneficial for your investments. A mutual fund is an investment fund managed by professionals wherein the investors pool money which is used to purchase different kinds of securities. A small fee is charged by the fund managers for this purpose. While all the major analysis and research is done by expert fund managers, it doesn’t demand much of an investor’s involvement in the analysis and decision making. Mutual funds are an investment avenue, which invest in securities such as stocks, bonds, money market instruments, etc. A properly structured portfolio of securities for investment is designed by expert fund managers in order to match with the predefined investment objectives and goals. Mutual funds tend to have broader portfolios in order to disperse the potential risk quotient and thus make it less risky for the investors. For example - A stock in which you have invested is going through a rough patch, and if you have a broad portfolio of mutual fund, you tend to lose only a fraction of your investment. In an otherwise situation, where the portfolio is narrow, focusing on a particular stock or sector, it could have caused a bigger loss. Thus, the risk is diversified over a wide range of securities, which are chosen wisely for investment by experts to build a broader portfolio. It has a built-in diversification of risk. It has higher liquidity than other forms of investment. It is professionally managed by experts leading to lesser chances of a fluke. 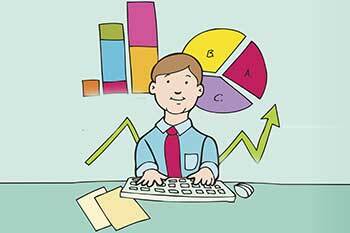 It is easy to analyze and compare among different mutual fund schemes. Complete KYC and registration procedure: Duly fill the registration form and complete the KYC (Know your customer) procedure by submitting all the required copies of address and identity proofs along with other required documents. It is important that you have your PAN (Permanent Account Number) card and bank account with proper MICR (Magnetic Ink Character Recognition) code and IFSC (Indian Financial System Code). Explore assets for allocation in portfolio: Analyze different securities and stock options available for asset allocation in your portfolio. Shortlist fund types: Shortlist the types of funds you would want to invest in to fulfill your financial goals. Research, Analyze and Compare different funds: Analyze and research about different fund schemes and compare them to make fruitful decisions. Some mutual fund schemes would look attractive, but the question here is whether it matches your financial goals and to what extent will it be helpful in achieving your financial goals in time within your risk quotient. Look for diversification in your portfolio: Make sure you structure your portfolio with assets that match your financial goals and diversify the risk. The broader your portfolio, the more the risk gets dispersed. This will be beneficial if the stock or sector you have invested in goes through a rough patch, then you would lose only on a fraction of your investment. Track the performance of portfolio: In order to understand how your portfolio is keeping up with your goals and when you need to change the gear, you should track the performance of your portfolio on a regular basis. Mutual fund investment is one of the much sought after investment avenue where you can invest even with smaller amounts with ample flexibility and numerous options offered along with professional expert advice.